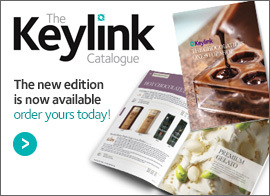 CasaLuker is one of two new additions to the Keylink offering; a range of chocolates and cocoa products from Colombia and neighbouring countries. CasaLuker only uses International Cocoa Organisation classified “Fino de Aroma”, or Fine Flavour Criollo and Trinitario beans to make their chocolate. Only the top 7-8% of the world’s cocoa is given this exclusive title. The beans are harvested and made into chocolate in Colombia using cocoa butter from the same beans and local sugar, making all ingredients fully traceable. CasaLuker 1906 single origin chocolates each have unique profiles thanks to the purity of their origins. Made from selected beans from the various regions and neighbouring countries where Fino de Aroma cocoa is grown, they positively burst with flavour! Their tastes reflect the specific cocoa variety as well as the richness of the soil and the cocoa growing tradition of the area. 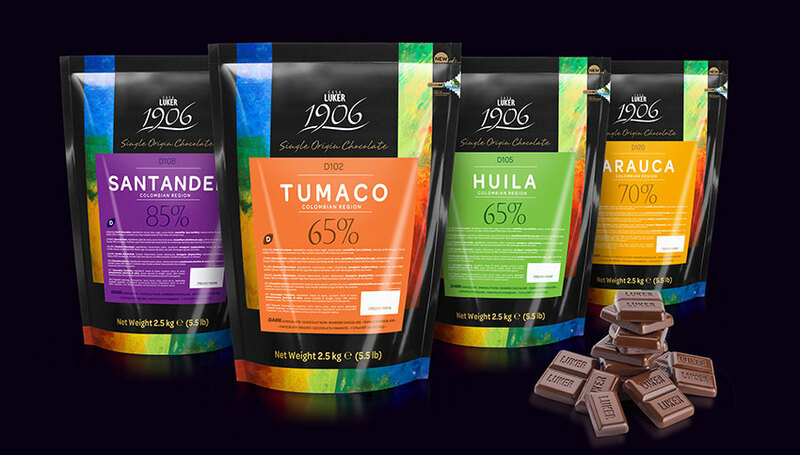 For an intense cocoa hit, we are pleased to include two 85% chocolates, Tumaco and Santander, in this range. 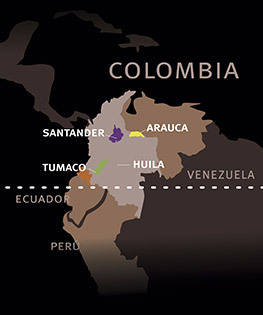 CasaLuker Cacao uses Fino de Aroma cocoa beans to create blends from different regions, all within Colombia. We have also introduced Panela, a non-refined raw sugar made from dehydrated cane juice, and three chocolates made using Panela. In addition we now supply CasaLuker cocoa powder, cocoa butter and cocoa mass, all made from Fino de Aroma beans, and Luker Maracas – plain/dark chocolate cocoa nibs, roasted cocoa nibs and physalis fruits coated in dark Fino de Aroma chocolate. CasaLuker 1906 single origin chocolates have unique flavours that come from the pureness of their origins. Made from selected beans from the various regions and countries where Fino de Aroma cocoa is grown, their flavour reflects the cocoa variety but also the richness of the soil and the cocoa growing tradition of the area. These chocolates are made with beans from a particular region. The best Fino de Aroma cocoa beans used to make blends from different regions, all within Colombia. Included in the range are three Chocopanela chocolates, all made with Colombian panela sugarcane. What is The Luker Way? The Luker Way is the connection that CasaLuker has with its partners, their farmers, the environment, their employees, their clients and society at large. They believe in sharing opportunities, knowledge and technology and working as a comminity to produce the finest chocolate from Fino de Aroma cocoa beans. Luker, as it is known in Colombia, has worked with some of its farming partners for over one hundred years. They do not own the farms, and the farmers are offered fair purchasing conditions, but are still free to sell their cocoa wherever they wish. Luker works hard to nurture the relationships they have with their farmers and stakeholders, offering education and training at their research centre, the Granja Luker, to provide farmers with the knowledge to build profitable cocoa farms that will support themselves, their families and their communities. More than eight hundred people are trained at the Granja Luker each year. Commercial agreements with 45 cocoa producers’ associations that cover over 18,000 hectares of Cacao Fino de Aroma crops. 7,500 benefitting families, many of which reside in areas of armed conflict or where illicit crops are grown. Training provided for the implementation of production models that increase productivity by up to 300%. A 20% subsidy offered to purchase material for plantation renewal or for new plantations. A private non-profit organisation, its mission is to provide leadership in order to contribute to the social and economic development of Manizales in Colombia. Trained more than 500 teachers, benefitting from over 12,000 students. Supported over 1,400 children and young adults through music and sports programmes. Contributed to the quality of education by building libraries, laboratories and classrooms.